Launched in 2015, Severn School Education Series is published three times each school year and is designed to offer useful information on a variety of topics relevant to elementary and secondary education. There is an interesting dichotomy in modern schooling: do we assess to evaluate student learning at the end of instruction (summative)? Or do we assess to inform students and teachers throughout the process of teaching and learning (formative)? Both sides of the educational divide have strong reasons why one form of evaluation should be employed more than the other. 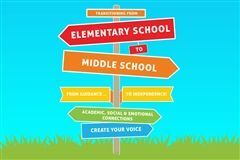 But how can we best serve middle school students? “Design Thinking” is one of the latest buzzwords in education and business today, but what is it and why the hype? The term was coined as early as the 1960s but has recently been popularized by the Kelley Brothers and Tim Brown’s design firm, IDEO. Their firm focuses on creating change through design to make a positive global impact. This spawned the Stanford d.school design thinking process and courses for educators and students. What does "I Played" Really Mean in the Early Childhood Classroom? 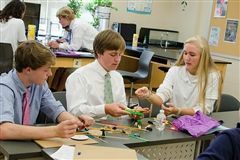 In the summer edition of our Education Series, Lower School Head Ms. Cathy North and Director of Instructional Programs Ms. Sherri Hoyt discuss the role and value of play in the early childhood classroom. 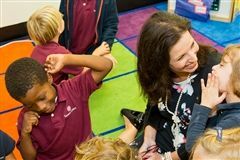 Children often say "I played" to describe their day in the classroom, but there is a much deeper purpose behind every playful activity and lesson. Cathy and Sherri dive into the spectrum of skills development represented by that simple phrase, "I played." 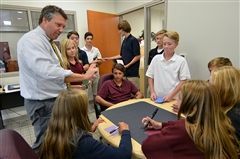 In the fall edition of our Education Series, Middle School Head Mr. Dan Keller highlights Severn Middle School's purposeful support for students as they transition from their Lower to Upper School academic years. 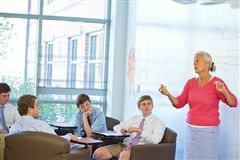 The Severn School Education Series is published three times each school year and offers useful information on a variety of topics relevant to elementary and secondary education. 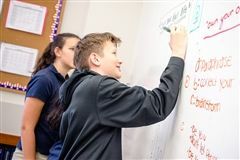 Students who are most satisfied with their time in high school, who are most successful during the high school years, who grow the most during their four years, are the students who ask questions of themselves and others, engage in answering and solving those queries, and therefore are the most engaged in the daily and long term life of the school. Students who engage and act are the ones who gain the most from high school.